For federal agencies, buying IT services has traditionally been slow, complex, and ineffective. FedScoop reports that the U.S. Digital Service has created the TechFAR Hub as an online tool to help procurement personnel learn and adopt best practices for agile, lean digital acquisition. 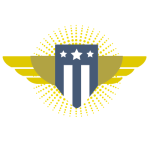 Though it has a public-facing alpha website, the hub is meant to serve as a set of resources and tools on the General Services Administration’s Acquisition Gateway — an online repository and portal for federal personnel to explore existing acquisition information and solutions, collaborate on best practices, and make more effective and efficient buying decisions in line with category management. Among other offerings, the Hub features links to AGL Academy, where users can find self-directed online courses for learning how to implement agile in government contexts.